Dear Evan Hansen Gets A Novel And A Book Tour! The Tony-winning musical, Dear Evan Hansen, is getting turned into a novel! Written by the show's creators, Benj Pasek, Justin Paul and Steven Levenson and co-authored by Val Emmich, the novel is based on the plot of the musical and will head out on a ten-city book tour from October 8 - 16, landing in bookstores in October 9. Dear Evan Hansen is a cautionary tale about how a lie can spread across a community long before the truth even has a look in. The eponymous Evan of the story is an anxiety-ridden high school misfit who is desperate for any form of recognition from his peers. So much so, that when his classmate Connor commits suicide after suffering from depression, a mysterious suicide note appears in the weeks after, seemingly addressed to Evan. 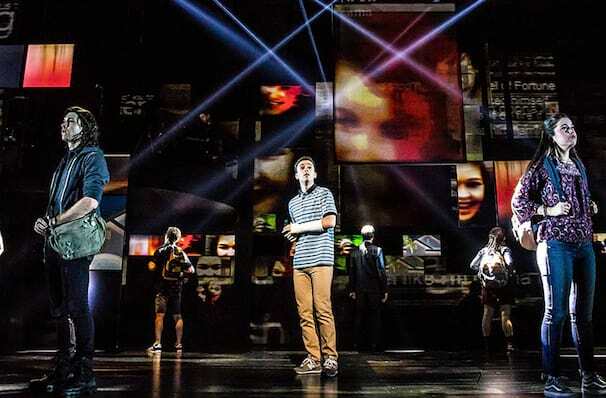 View our show pages for more information about Dear Evan Hansen, James M. Nederlander Theatre.